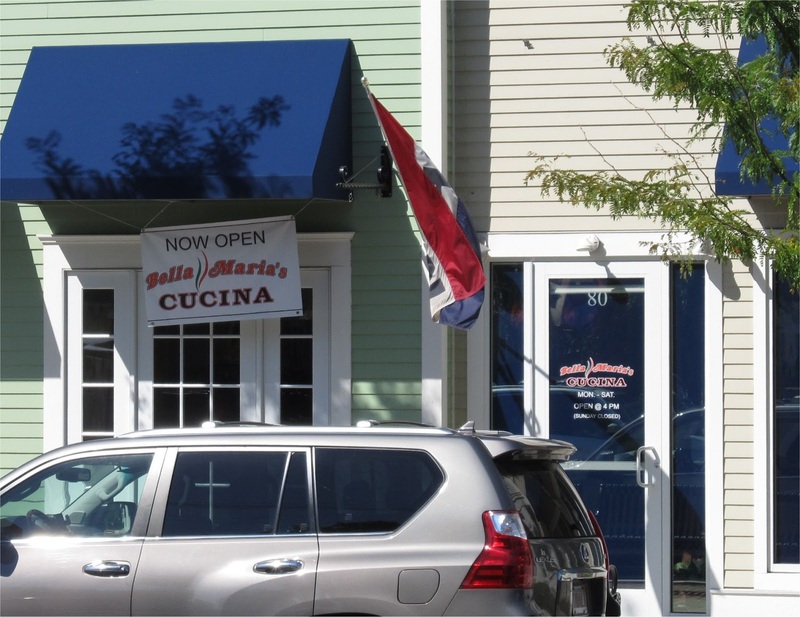 Bella Maria’s Cucina located at 80 Great Road, opened on July 20th in the space formerly occupied by Wicked Good Frozen Yogurt. I recently spoke with James Garabedian, one of the owners. James opened Ken's in November 2013 along with co-owners Marie and John Cronin. Marie and John also owned Wicked Good Frozen Yogurt in the adjacent space (which had opened a few month earlier). Last November, Wicked Good Frozen Yogurt shut down. 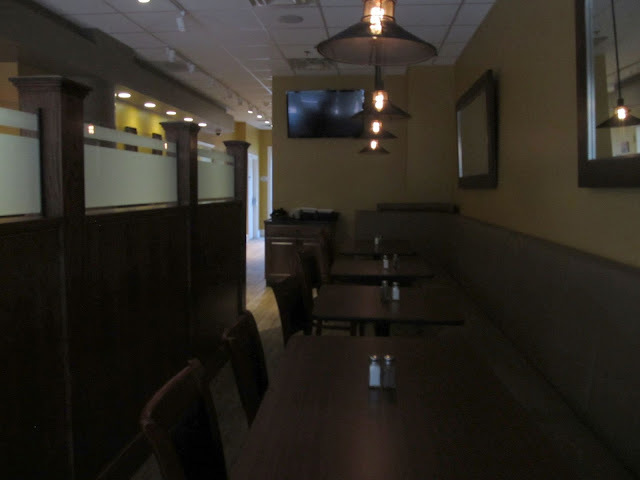 The partners did some thinking and saw a need for a Italian Restaurant in town and came up with the idea to use the space from the Frozen Yogurt store to open a higher end Italian Restaurant. The restaurant is named after Marie. Bella Maria’s Cucina which is only open for dinner, has 36 seats. The menu focuses on pasta, fresh sea food, steaks and Italian wines. The restaurant shares a kitchen with Ken's but the menu is unique. The restaurant currently has a beer and wine license but is expecting to get full liquor license shortly. Bella Maria’s Cucina has a more modern appearance then Ken's. They both share a kitchen and liquor license. James stated he really enjoys the Bedford community and Ken's has been heavily involved in supporting local causes including the schools and they plan to continue what they are doing with the addition of Bella Maria’s Cucina. He also mentioned that while the restaurant has only been open a short time, the response has been very positive. 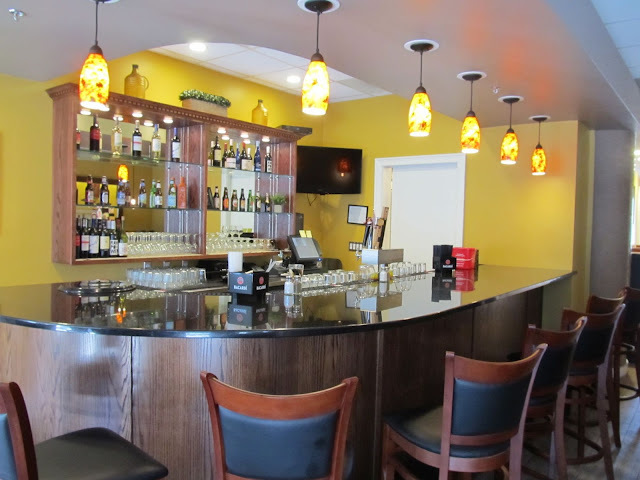 While several restaurants in the area such as Cafe Escadrille in Burlington offer multiple dining experiences such as a bar/cafe menu and a more formal dining room menu, Ken's/Bella Maria’s Cucina seems to be one of the first ones to do it under two different names/brands in the region. The one kitchen/two restaurant business model is becoming more popular and I expect we will see additional examples in the next year or so. 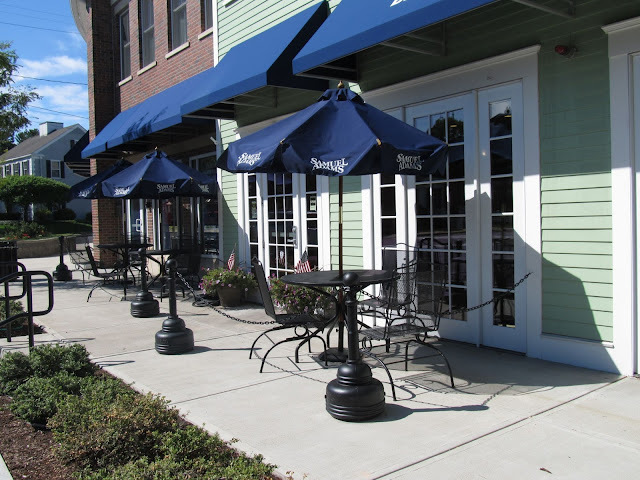 With outdoor seating appearing this spring and now the addition of Bella Maria’s Cucina next door you can say that Ken's has expanded twice. 1. While the restaurant seems to directly compete with Cafe Luigi's it appears to be targeted a little more upscale. 2. The outdoor seating for Ken's that was added in May seems to be working out very well for Ken's and has added some needed vitality to Bedford Center. We ate there tonight. We thought the food was excellent, and the portions were generous. It's nice to have draft beer with an interesting collection of taps to go with the many chicken and veal dishes. Oh, yeah. We'll be back. Bruce - Thanks for the comments. With Cafe Luigi's set to close this weekend until the new space is ready next spring, I think the restaurant will pick up additional business. The restaurant has a good environment, but needs few improvements. The presentation on foods is poor and also is overpriced.